FEELartistic Studio -Pottery and ceramics activities for all ages. 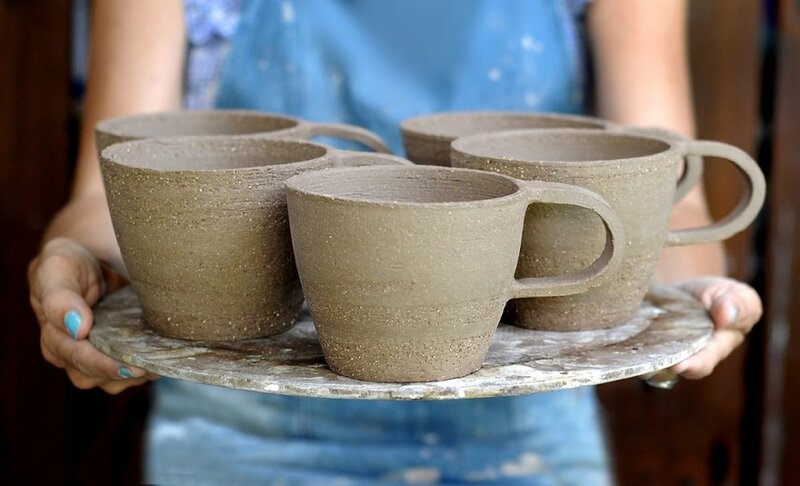 Pottery and ceramics activities for all ages. Learn all about pottery and ceramics. Join 90-minutes pottery session and play with clay. 90 minutes of pottery for all ages. Join us with your friends and family members. It is an ideal journey for beginner and for those who have taken beginning pottery classes in the past and would like a refresher lesson. Join us to learn all about wheel throwing! Step by step instructions will be given. Note: You must be 50 inches tall to use pottery wheels. Who Can Attend? Those who have taken beginning pottery classes in the past one year and have some experience of throwing clay on pottery wheels. You should know how to center the clay. Play with clay is an ideal ceramics activity for the families and friends. With one slab of clay, you will create and glaze a beautiful piece of art. We will provide everything you need. Join us today! Duration: One-time, 45-60 minutes of activity. Open Glaze is a ceramic paint activity. Most artistic event for the entire family and friends. Come with the kids or a special friend and enjoy your time at our studio. Our instructor will provide a step by step instruction.